Ferrari and Lamborghini hold the distinction of being some of the most expensive and most desirable cars on the planet. Prepare yourself for a back-to-back comparison between the two! 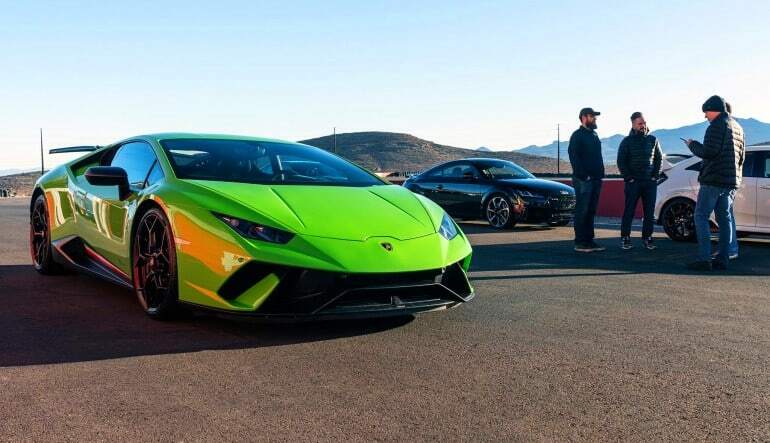 Italian supercar-lovers listen up: this Las Vegas racetrack experience puts you behind the wheel of two marvels of European engineering—the Ferrari 488 GTB and Lamborghini Huracán! With this white-knuckle ride, you drive five laps in each vehicle on a track with twelve thrilling turns and a straightaway that takes you to top speeds! 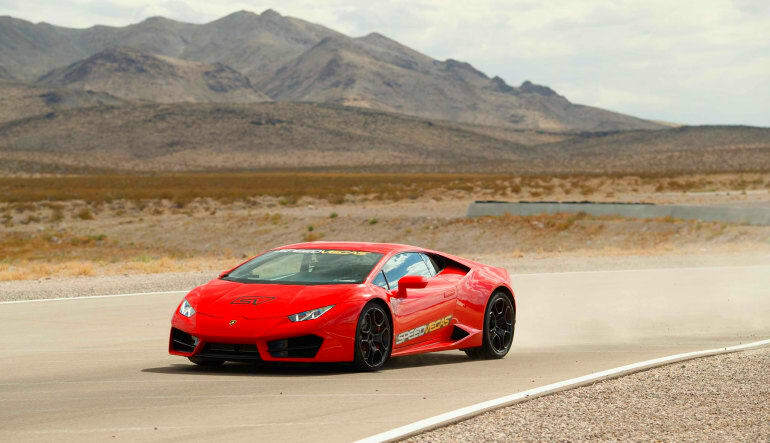 Take 5 laps in a Ferrari 488 GTB and 5 laps in a Lamborghini Huricán. 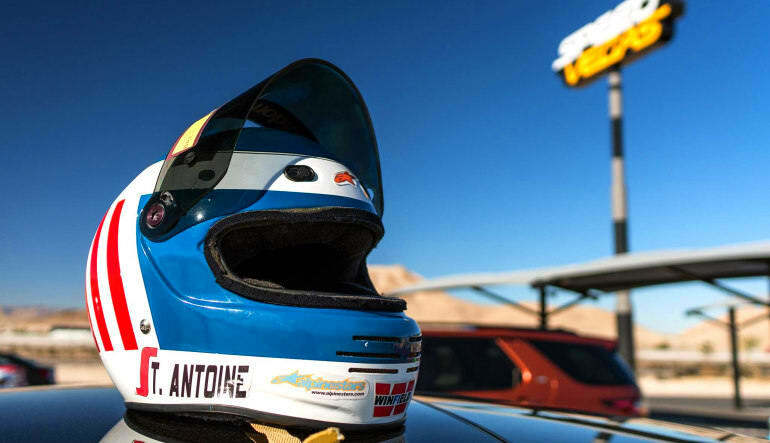 See how the two vehicles compare on one of Las Vega’s longest racetracks! Travel a total of 15 miles, conquer a dozen banked turns and take on a 2,200 ft straightaway! Gain access to the pit area and lounge. Spend some time chatting with an expert about what’s under the hood. Get round-trip shuttle service from your Las Vegas hotel. Powered by a 3.9-liter twin-turbocharged V8 that offers immense thrust, the 488 GTB delivers 661 horsepower and 561 lb-ft of torque to the rear wheels. It moves 0-60 in 3 seconds and reaches a top speed of 205 mph. In terms of handling, its high-ratio steering rack offers lightning-fast responses while its F1-Trac traction control system keeps the ride manageable. It was named “Supercar of the Year” by Top Gear in 2015. You’ll immediately see why. This is by no means a humble car. The Huricán is a fast, loud, dramatic machine equipped with a 5.2-liter V-10 engine that serves up 602 hp. Going blow for blow with the 488, it moves 0-60 in 2.5 seconds and reaches a top speed of 202 mph. Its seven-speed dual clutch automatic transmission makes gear progression seamless. 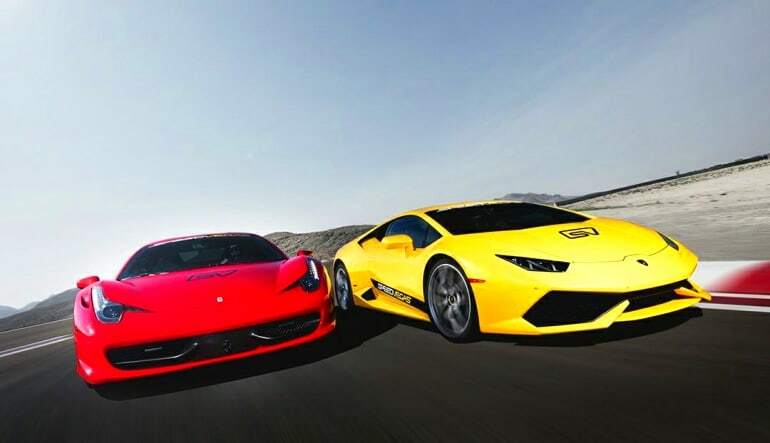 Book your Ferrari and Lamborghini drive today!